The Arizona Coyotes promote responsible drinking and positive fan behavior at Gila River Arena. 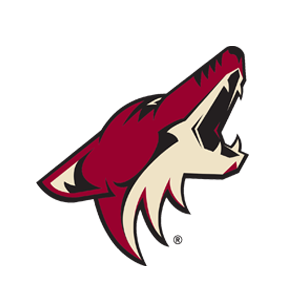 The Coyotes Fan Code of Conduct and the details of the Coyotes alcohol management plan that appear below ensure that fans have a safe and fun experience. • Any guest appearing to be intoxicated before entering Gila River Arena may be denied entry. Any guest found intoxicated within the Arena or is causing a disturbance, as determined by management, will be asked to leave the Arena without refund. • Alcoholic beverages may not leave the arena. • Guests are limited to two (2) alcoholic beverages per purchase. • To encourage responsible drinking, Gila River Arena and LEVY RESTAURANTS participate in the Good Sport Designated Driver Program during hockey games. Guests over 21 years of age who sign a form promising not to consume alcoholic beverages will receive a coupon for a free non-alcoholic beverage. Designated Drivers can sign up at the Gate 3 Guest Services booth. • Gila River Arena management reserves the right to eject and have cited any individuals under the age of 21 who illegally purchase, possess or consume alcohol or are visibly intoxicated. Individuals providing alcohol to those under 21 will also be ejected and subject to citation. • Alcohol sales will end at the beginning of the third period for hockey games and generally one hour prior to the end of other events. Last call times are subject to change without notice. • Guests found with alcohol brought from outside the Arena may be ejected. The Arizona Coyotes offer fans the Bud Light Good Sport Designated Driver program at all Coyotes games at Gila River Arena. To encourage responsible drinking, Gila River Arena and LEVY RESTAURANTS participate in the Good Sport Designated Driver Program during hockey games. Guests over 21 years of age who sign a form promising not to consume alcoholic beverages will receive a coupon for a free non-alcoholic beverage. Designated Drivers can sign up at the Gate 3 Guest Services booth.